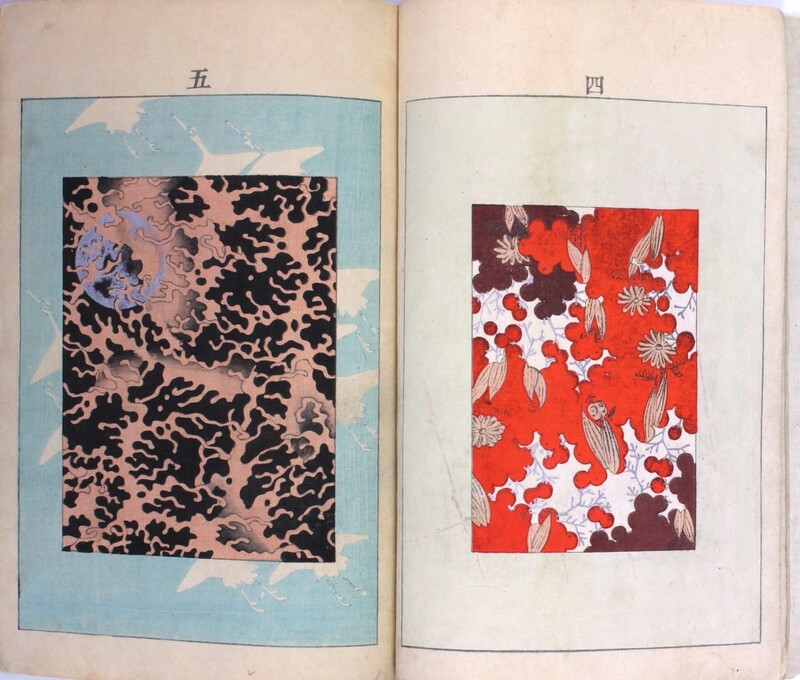 This post was written by Reiko Yoshimura, head librarian of the Freer Gallery of Art and Arthur M. Sackler Gallery Library. As a result of the development of Japonisme in the 1860s, Japanese art and crafts became increasingly popular, especially in Europe. 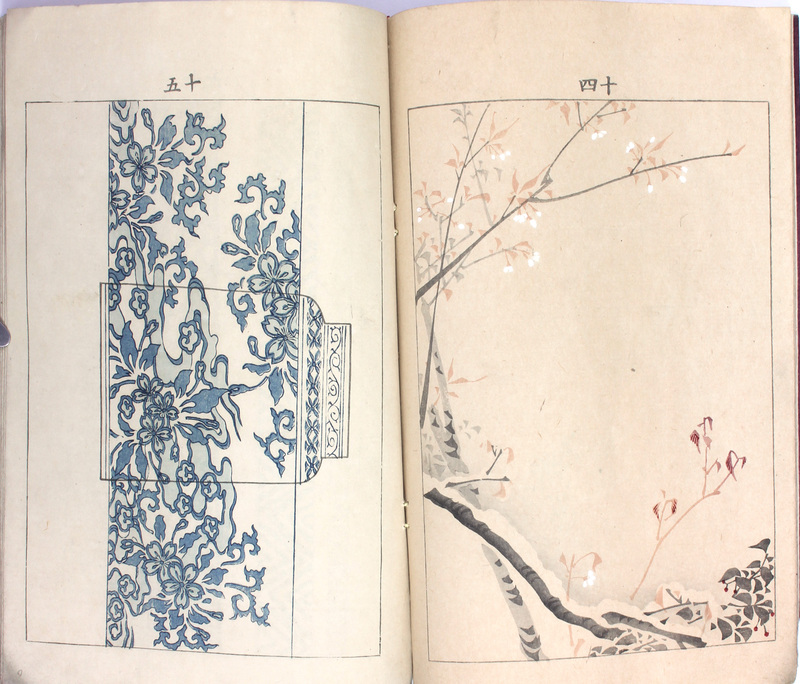 Following the Meiji Restoration (1868), the Japanese government began exhibiting a vast amount of art and craft objects in world expositions, namely, World’s Columbian Exposition (1893) and Paris expositions (1867, 1889, 1900), which led to actively promoting domestic craft production. Bijutsukai, a periodical published 1896-1911, in 65 volumes, intended to provide novel and exciting designs for textile artists, potters, and other craft makers; this in response to domestic demand as well as increasing export needs. 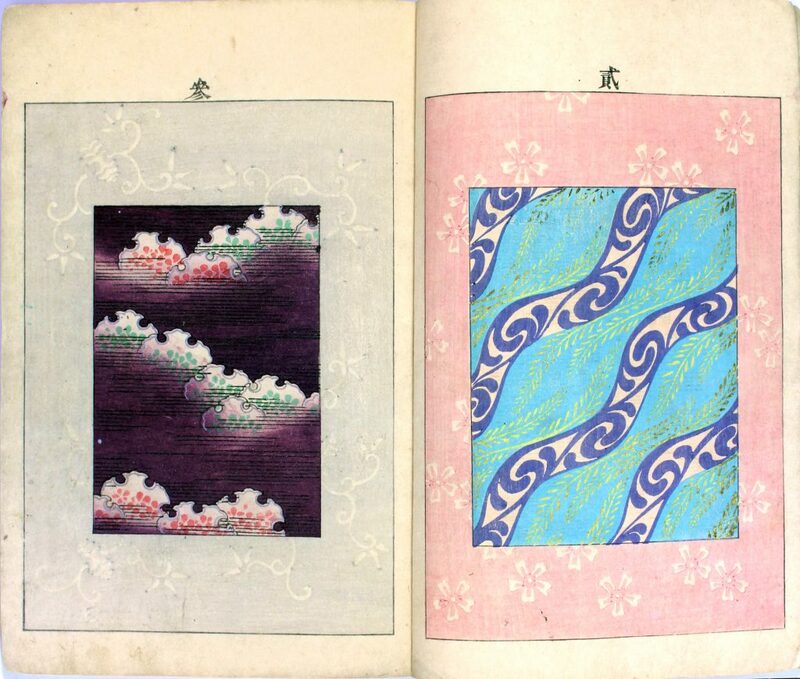 Bijutsukai and a few other similar publications played a pioneering role in the craft design movement during the Meiji period (1868-1912). 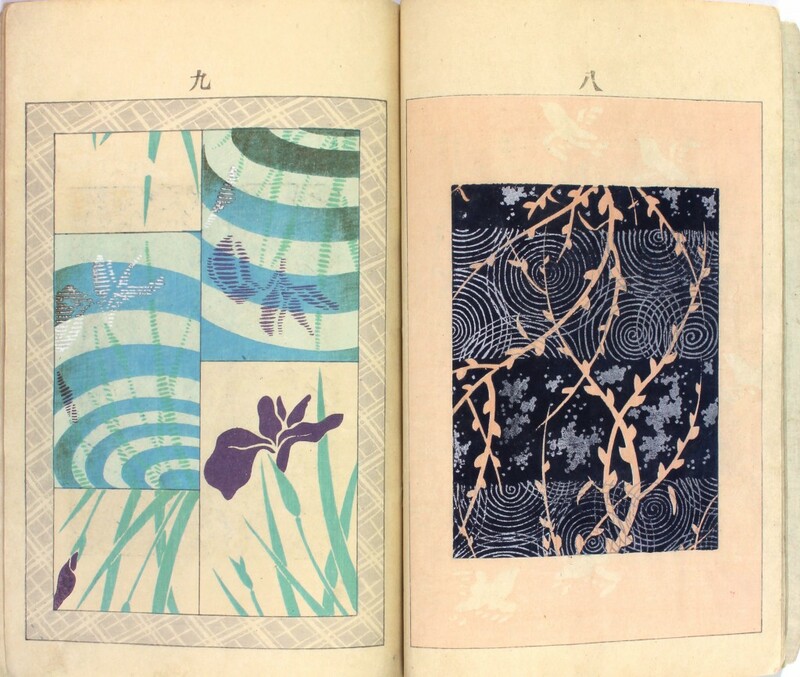 Each issue of Bijutsukai was wood-block printed, luxuriously, in vibrant color, on fine paper. 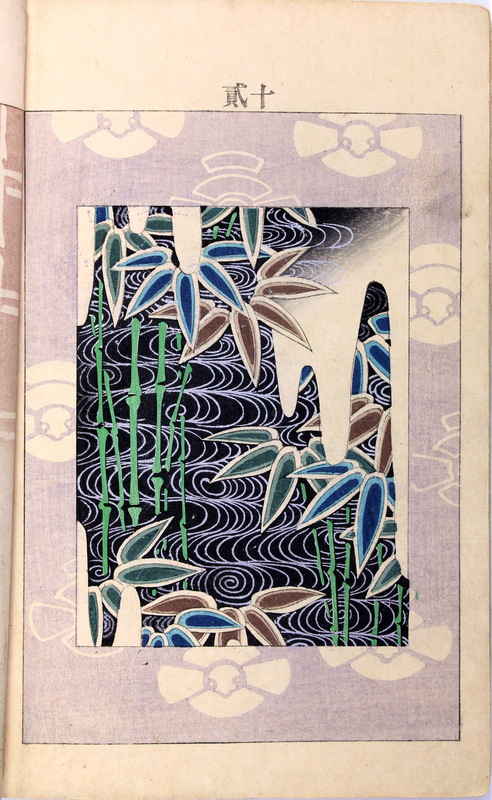 The publisher was Yamada Geisōdō, a commercial art book publisher in the Kyoto area, established in 1891 and continuing through today with traditional wood-block printing. 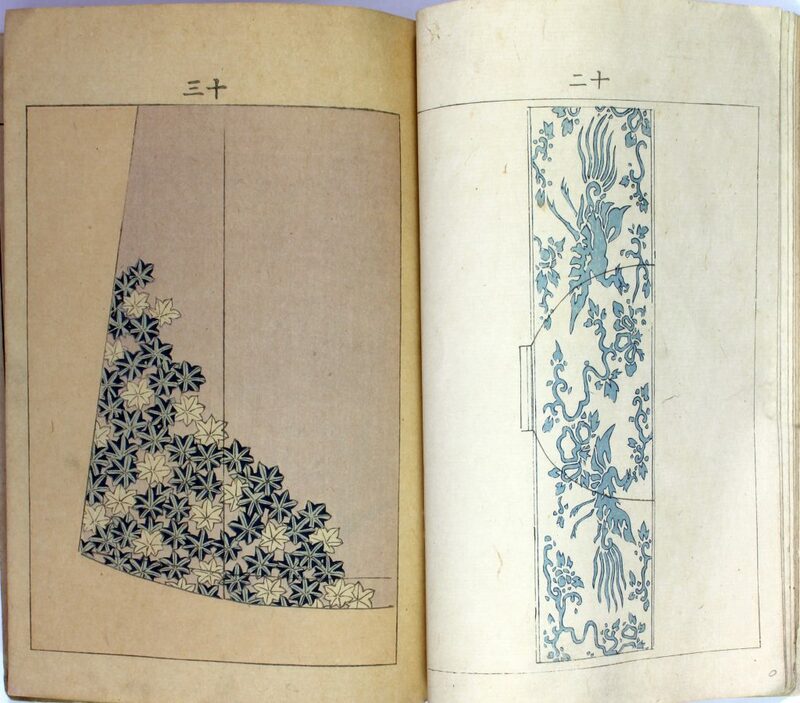 They have reprinted numerous illustrated books from the Edo period (1600-1868). 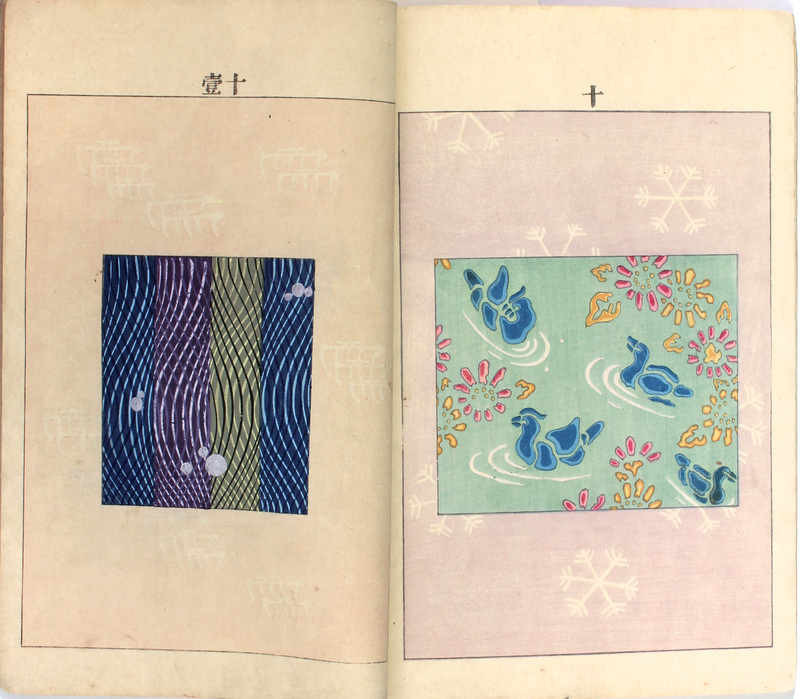 We hope you enjoy these beautiful selections from Bijutsukai. 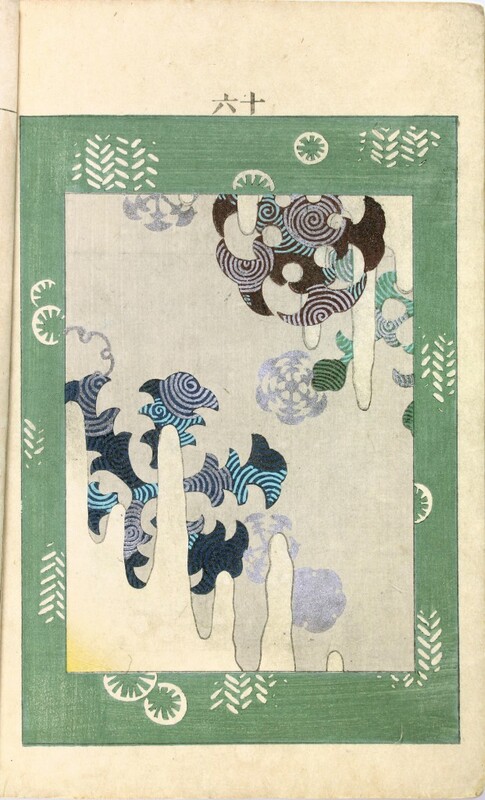 For more lovely Japanese pattern inspiration, check out our digitized volumes of Shin-bijutsukai in our Digital Library. Thank you for posting this. I really enjoyed these designs and am glad that The Smithsonian has digitized these images. I have an original 1903 edition of this publication. Can you tell me of its value? I’m interested in knowing more about it.